This dairy-free hot cocoa is an easy sweet drink to make on a cold night. For dairy-free milk I like to use almond milk or coconut milk without additives or added sweetener. This dairy-free hot cocoa is an easy sweet drink to make on a cold night. For dairy-free milk I like to use coconut milk without additives or added sweetener (I like this brand). You can adjust the honey depending on your preference. You will need an immersion blender (like this one) to sufficiently blend the coconut oil with the liquid and to get the foam at the top. This Vegan Hot Chocolate Is Creamy And Delicious! 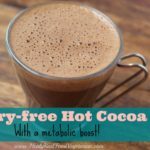 You’re probably wondering what I mean when I say that this hot cocoa has a metabolic boost. The boost is coconut oil! 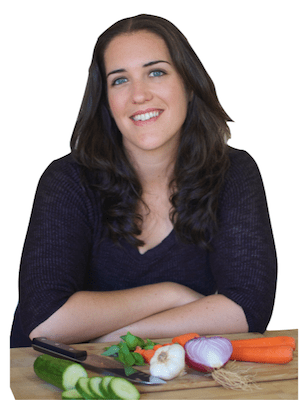 Coconut oil is a great way to increase your metabolic rate. Studies have shown that it can raise metabolism thus aiding in weight loss (your can read more about coconut oil and metabolism here). If you have symptoms of a stressed metabolism like dandruff, dry skin, poor sleeping habits, poor digestion or blood sugar crashes, you may need to repair your metabolism. 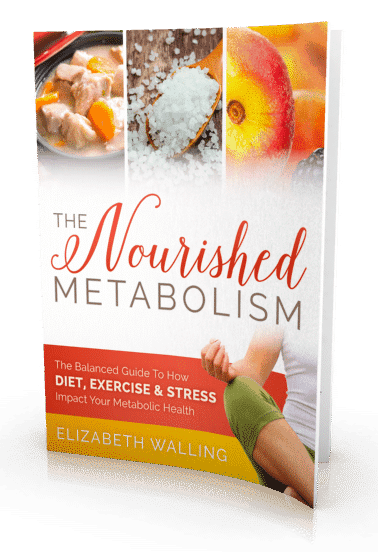 To learn more about how to repair your damaged metabolism I would highly suggest reading The Nourished Metabolism! 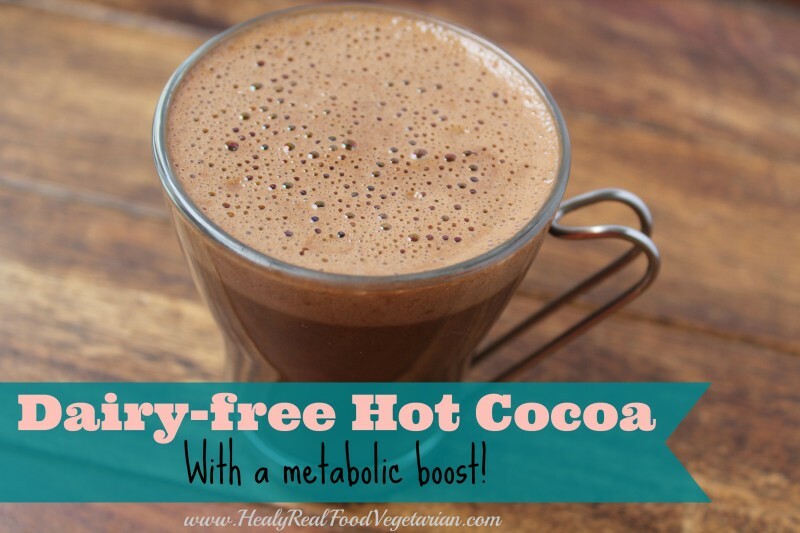 Have you tried this Dairy-Free Hot Chocolate Recipe? 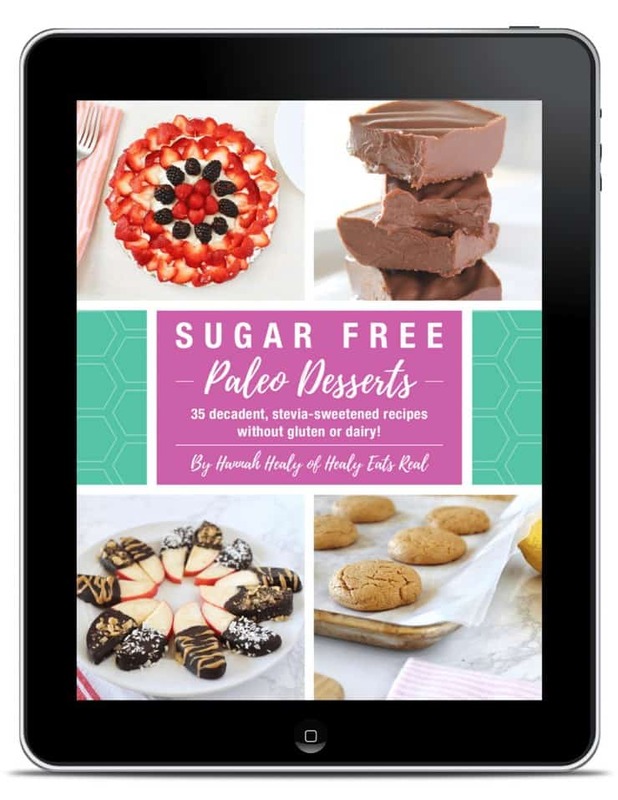 Don’t forget to rate the recipe and leave me a comment below. You can also follow me on Facebook, Twitter, Instagram, Pinterest and YouTube. In a saucepan heat coconut milk on medium. Add cacao powder, coconut oil and honey. Blend with a hand blender or regular blender. You'll need a blender to mix the oil with the liquid and the get the foam at the top.